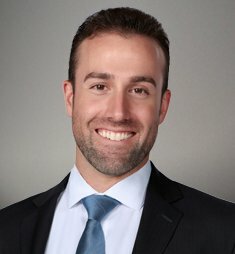 John Maseredjian is the Vice President, at JohnHart, and as such is responsible for managing and directing the firm towards obtaining its ultimate goals. Dual majoring in International business and finance, at Chapman University, John has found his niche to be in helping the company expand. From marketing, to expanding into different business sectors and opening new locations, John is at the forefront of it all. Particularly strong in marketing, he plays a major role in the design and content for all JohnHart marketing pieces. Previously working at a law firm that helped distressed homeowners, helped John to learn the "ins and outs" of negotiating. Prior to working at the law firm, John worked for an international public relations firm, in their Shanghai, China location. It was here that he learned how to assess a company based on its industry/market, competitors, weaknesses, and strengths; a skill which he uses on a daily basis in his efforts to further JohnHart. Never shying away from a challenge, and his can do attitude, are just two of the reasons why John has managed to do so much in such a short amount of time. JohnHart looks forward to growing with John, and can only see good things in store for both. +	Previously worked as an underwriter/negotiator for a law firm that helped thousands of people restructure their debt. +	Lived in Shanghai, China in 2008, where he worked for a public relations firm.